A recent article on the BBC News website reports on research carried out at Maastricht University. The Dutch research looked at data from nearly 4,500 adults and found that overweight people are more likely to make frequent trips to their GP than smokers or those who are generally unfit. Although the study could not conclude why overweight people might visit their GP more often, the scientists speculated that they may have more minor complaints, such as musculoskeletal pain or sleep problems. In the latest edition of the Geographical Journal, Thomas Burgoine reviews a recently published book by Francis Delpeuch, entitled ‘Globesity: A Planet Out of Control?’. Delpeuch’s book is a “fascinating account” of the origins of obesity and the “global obesity epidemic” that seems to be prominent in today’s news reports. Burgoine believes that this book offers a much needed interdisciplinary perspective on obesity and creates a “useful compendium of scientific fact and an engaging, thought provoking argument”. It offers insight into the global geography of obesity and illustrates arguments with applied examples such as McDonald’s ‘Go Active’ campaign to raise awareness of the importance of physical activity. Read Thomas Burgoine’s review of ‘Globesity: A Planet Out of Control?’ by Francis Delpeuch, in the Geographical Journal, 176(3), 271. This entry was posted in Uncategorized and tagged book review, Environment and Society, global geography of obesity, Health, interdisciplinary research, maastricht university, obesity, Social Geography on August 20, 2010 by Jayne Glass. The Dean of Manchester Cathedral, the Very Reverend Rogers Govender, is making sure that his parishioners are playing their part in helping to ensure that third world crop farmers are getting a fair price for their produce. Having introduced what is thought to be the world’s first Fairtrade communion wine, Govender uses a Fairtrade Chilean wine during communion at the Cathedral. About 70% of the churches in the diocese already use some Fairtrade products such as tea and coffee. The Porterion Fairtrade Wine is imported from a co-operative in Chile by a company in Stone, Staffordshire. In the Geographical Journal, Dorothea Kleine reports on the findings of her action research that was undertaken with different economic actors along the value chain of a Chilean Fairtrade wine. Kleine explored how the internet and tracking and tracing technologies could be used to make value chains more transparent for consumers and producers. She found that while supermarkets are the lead firms in the Fairtrade wine chain in terms of economic power, the producers and the Fairtrade certification body wield ‘moral power’ over other actors in the value chain, demonstrating cycles of mutual recognition and underpinning each others’ legitimacy and moral power. Read Kleine, D. (2008). Negotiating partnerships, understanding power: doing action research on Chilean Fairtrade wine value chains. The Geographical Journal, 174(2), 109-123. This entry was posted in Uncategorized and tagged action research, Chile, Development, Economic Geography, Environment and Society, fairtrade, moral power, power, wine on July 30, 2010 by Jayne Glass. In April 2010 the Sunday Times newspaper reported that the wealth of the richest 1000 people in the UK had risen by an average of £77 million each in just one year, to now stand at £335.5 billion. Earlier in the year, the ‘Anatomy of Economic Inequality in the UK’ report presented a startling analysis of how unequal Britain’s wealth has become: the richest 10% of the population are more than 100 times as wealthy as the poorest 10% of society. The report finds that the government failed to ‘plug the gap’ between the poorest and richest in society in the 1980s. In an ‘early view’ article in The Geographical Journal, Danny Dorling analyses inequality trends and suggests there were key times when the trends changed direction. However, he also finds that is hard to identify when a government changed from the trend data. As a result, Dorling suggests that three main parties offer very similar solutions to the issue of reducing inequality and therefore it seems unlikely that voting will make much of a difference. Instead, political parties need to rethink how they will tackle growing issues of inequality that have led to such unsustainable extremes of wealth in the UK. Read Dorling, D. (early view) All connected? Geographies of race, death, wealth, votes and births. 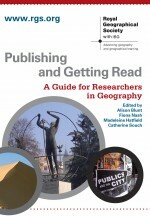 The Geographical Journal. This entry was posted in Uncategorized and tagged British General Election, Economic Geography, Environment and Society, geographies of wealth, inequality, Poverty, Social exclusion, Social Geography, United Kingdom, voting, wealth gap on July 10, 2010 by Jayne Glass. Southerndown Beach was designated as part of the Glamorgan Heritage Coast in 1972, as part of the designation system that was designed to protect the coasts of England and Wales. A few decades later, Southerndown has featured several times in the successful BBC television series ‘Doctor Who’ as Bad Wolf Bay (supposedly in Norway) and, more recently, as the alien home world of the Aplans. This very picturesque stretch of beach is twenty miles to the west of Cardiff, with good surfing conditions (thanks to the Gulf Stream) and grand cliffs of sedimentary rocks. The environment boasts unique coastal habitats such as sand dunes, cliffs, maritime grassland, and rocky and sandy beaches. Earlier this month, an article about the Glamorgan Heritage Coast was published in The Geographical Journal. Phillips et al. share in detail their findings of an ‘Incremental Scenic Assessment’ that was carried out on this 500km stretch of coastline. Using a checklist of 26 human use and physical parameters, assessments were carried out at 500m intervals along the coastline. Of the 47 sites assessed, only 3 were classified as attractive natural sites with high natural landscape values, demonstrating distinct variations in scenic quality along the coast. This research casts some doubt on the validity of the current designated boundaries. Read Phillips, M.R., Edwards, A.M. and Williams A.T. (2010) An incremental scenic assessment of the Glamorgan Heritage Coast, UK. The Geographical Journal (early view). This entry was posted in Uncategorized and tagged coastal development, Coastal monitoring, decision evaluation parameters, designations, Environment and Society, evaluation, glamorgan heritage coast, heritage coast, impact assessment, scenic assessment, wales on June 25, 2010 by Jayne Glass.